Not every big city has its very own wine country, but Seattle has just that. A mere half hour from downtown, the town of Woodinville is literally filled with wineries and tasting rooms. Unlike many wine countries around the world, Woodinville is relatively compact with most of the wineries located along a loop road that makes it easy to bike or drive (with the appropriately sober driver) between the wineries. It's Warehouse District just a little over two miles away opens up even more tasting rooms, but in the Warehouse District, many of the tasting rooms are within walking distance of each other. In fact, Woodinville serves as a gateway to Washington's wine scene in general, which is now the second highest wine producer in the U.S. With more than 100 wineries represented, Woodinville is a wine destination that you can visit any given weekend. However, if you really want to taste all that Woodinville has to offer, the cost can add up with most wineries charging for tastes. But don't count out tons of tastes. There's a program for that. For true wine aficionados, the Passport to Woodinville program is the way to go. There's no finer way to taste more for a better price. And best of all, it allows you to spread your wine experience out over the course of a year, which is—unless you really enjoy hangovers—a must if you want to taste from the bulk of the wineries in town. Passport to Woodinville is an annual program, meaning you buy early in each year and can use your passport until the end of the year. Passports usually start selling toward the end of the year or very early in the previous year. Your passport gets you one free tasting from each of the participating wineries, which usually numbers around 60 of the total wineries. Taste all 60 in a week (no...really, probably don't do that), or do them in batches over several weekends, or spread the tastings out over the course of the entire year. The world is your oyster. 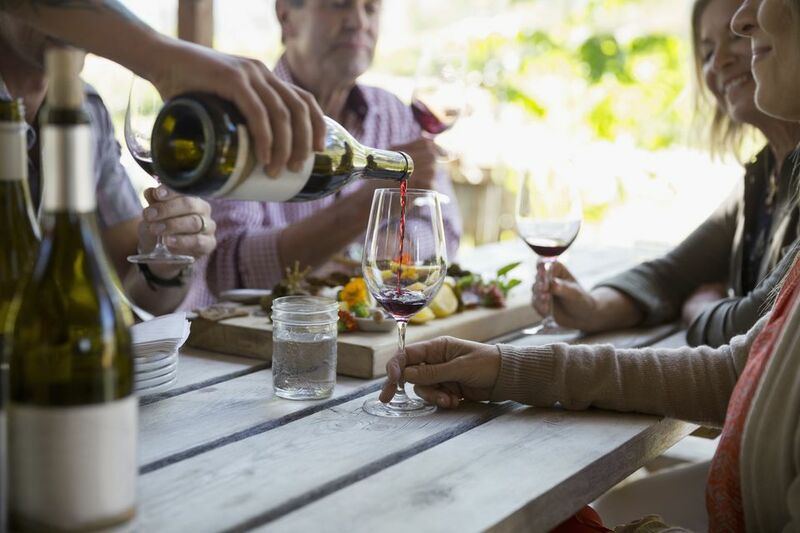 Passport holders enjoy tastings along with the chance to taste special selections from local wineries. You can also purchase wines that are only sold exclusively at winery tasting rooms. Bring your Passport and map with you. While the wineries are located close to each other, some are more spread out and the map covers more ground that it might look like. You'll get a stamp from each winery you try. Once you get your stamp, you can no longer return to the same winery to taste again for free. The price may vary from year to year, but recent years have seen passports in the neighborhood of $75. Costco sometimes has a two-pack deal for about $100 (in 2015, it did, at least). Check the website for current prices. If Costco runs deals, you can buy Passports there. You can also buy online in advance. Buy as soon as you can as Passports are issued in a limited number and do sell out. The list can change each year, but in general, you can count on many of the most popular Woodinville wineries to participate as well as plenty that you may not have heard of before. Usual participants include Chateau Ste. Michelle, Columbia, Covington Cellars, Efeste, J. Bookwalter Tasting Studio, Patterson Cellars and many others. If you want to make a weekend of a Woodinville experience, you can easily do so as there are places to stay very close by. The very best and closest place to stay is Willows Lodge, which puts you in walking distance to some of the wineries, however, it's not cheap. If you're looking for more affordable lodging, there are hotels and B&Bs nearby as well.